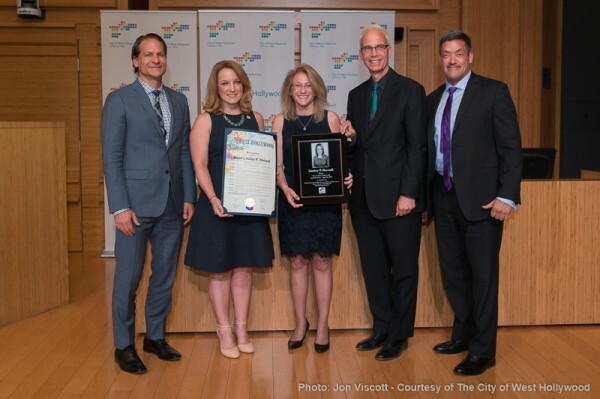 The West Hollywood City Council (left to right) Mayor John D’Amico Council members Lindsey Horvath, Lauren Meister, John Heilman and John Duran (Photo by Jon Viscott, courtesy of the City of West Hollywood). On Dec. 7, 2016, WEHOville published an editorial titled “City Government 101 — a Guide for the West Hollywood City Council.” Monday’s City Council agenda suggests it is time for a refresher course. The agenda includes an item titled “Review of Council-Initiated Programming and Event Series.” You don’t need to waste your time reading it. What it boils down to is a demand that the City Council be allowed to micromanage events such as the Human Rights Speaker Series, WeHo Reads, NextGen and other creative community forums and discussion. And why would that be? It’s more than likely a response by some Council members to the controversy they put themselves in the middle of when they tried to block the screening of a documentary about Israel’s occupation of Palestine. 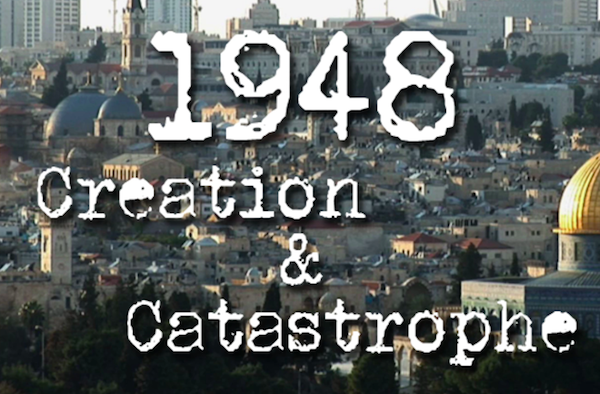 As WEHOville has reported, the documentary, “1948: Creation and Controversy,” explains the history of the formation of modern-day Israel and its relationship with Palestine, which is the subject of a current national debate that is leaving some Democratic politicians struggling to figure out where to take a stand that won’t cost them votes. Objections from Council members Lindsey Horvath and Lauren Meister got the city to put the screening on hold in December, however, it’s now back on the calendar for April 16. On the one side of the argument against the documentary and its story are today’s ultra-nationalist Zionists who argue that Israel’s occupation of Palestine is essential to its preservation. In recent years they have been joined by evangelical Christians who are happy that the Trump administration is moving the U.S. Embassy to Jerusalem and by rightwing Republicans who hope to lure American Jews, who largely identify as Democrats, to vote on their side. And then there’s the support of Benjamin Netanyahu, the corrupt prime minister of Israel who these days seems to have a somewhat warmer relationship with Donald Trump than does Vladimir Putin. But back to our lesson on how city government works, or should work. West Hollywood is a General Law city, which means its system of government is organized under state law. As such, it has a Council / Manager form of government rather than a Council / Strong Mayor system. The Council / Manager system was born in the early 1900s through the work of a young civic activist and New York ad exec named Richard Childs. Childs saw the flaws in various forms of government across the country such as the strong mayor system and the commission system. That inspired him to come up with the an idea for a different form of government, which supporters saw as a well-structured and efficient “business form” of local government. So how is the Council / Manager system supposed to work? What are the duties of a City Council? What are the duties of a City Manager? In many ways, they are similar to the duties of a company’s board of directors and its CEO. The board of directors sets corporate goals and policy and oversees the CEO, who implements those goals and policies. They don’t get involved in everyday business. For example, members of the board of General Motors don’t walk into headquarters to talk to random staffers or show up at an auto factory to make sure a Cadillac is being assembled properly. The City Council is West Hollywood’s board of directors. Its primary job is developing goals and policies for the city and keeping an ear open to constituent concerns. The Council oversees the City Manager, whose primary job is implementing the policies developed by the City Council, keeping the Council abreast of city issues, responding to the concerns of residents and keeping the city running. In an ideal situation, the Council members would have no contact with city staffers outside official meetings. Instead they would filter their questions and concerns through the City Manager, who would assign someone to address them. While the City Council does and should have the authority to approve the spending necessary for events such as the Human Rights Speaker Series, WeHo Reads and NextGen, it is stepping outside its proper and official role if it gets involved in the programming. And anyway, if the City of West Hollywood wants to prove that it’s as progressive as it claims to be, it actually should welcome forums and film screenings where difficult and controversial issues are on the agenda and open for discussion and debate. As noted in my and my partner James Rosen’s testimony at April 1 Council on this issue, we do not elect Kultural Kommisars. Under the 5C provision of that last City Council meeting (thankfully shot down by Meister/Duran/Heilman while shamefully supported by gutless Horvath/D’Amico, the latter who should know better with his vaunted degree in CalArts’ “Politics & Aesthetics” program) every single WeHo-sponsored cultural event would require Councilmembers’ meticulous pre-screening/reading/hearing and approval. For example, would the April 17 Southeast European Film Festival panel discussion on “Cinema of Audacity” in Council Chambers — one night after the “1948” screening — be subject to a pre-emptive five-person Council vote for approval? Thankfully, reason prevailed and “1948” will be screened for all interested citizens to scrutinize. My related comments regarding Meister’s eloquent comments in support of screening the film (citing Heinrich Heine’s prescient 19th-century forewarning about “people burning books eventually burning people” commemorated at Berlin’s Bebelplatz) stand as antidote for both this particular controversy and the more general issue your editorial raises.